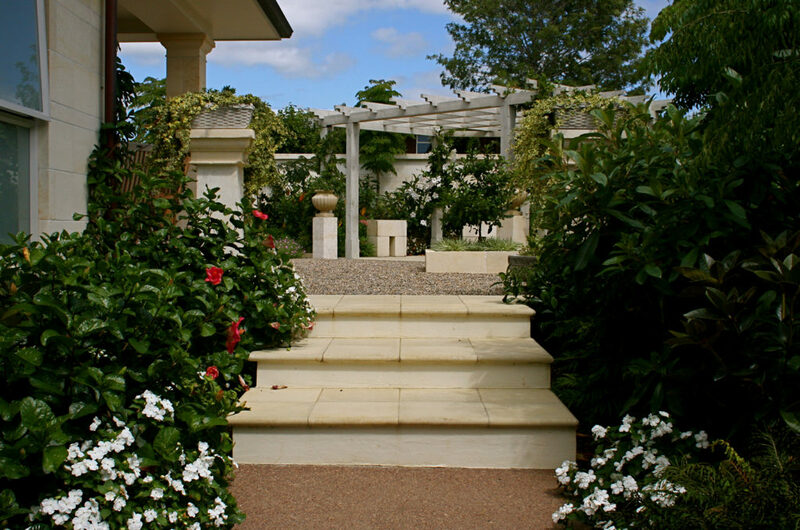 The English owners of this property requested a garden that would complement the style of their new home and that had a very traditional feel. 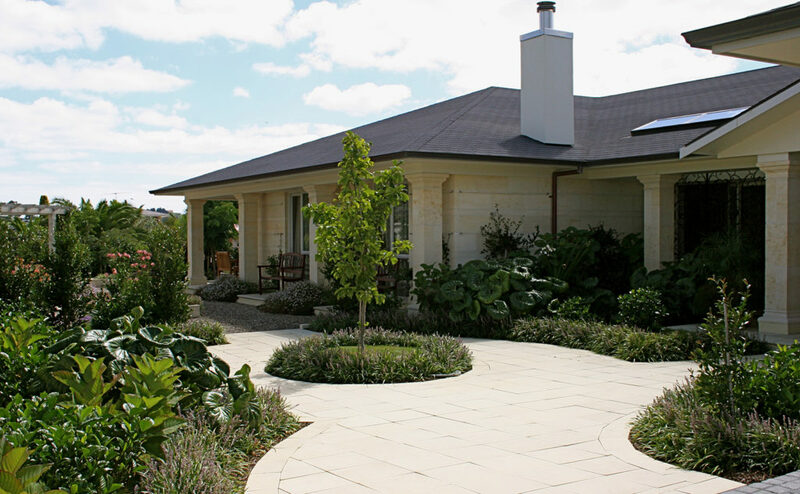 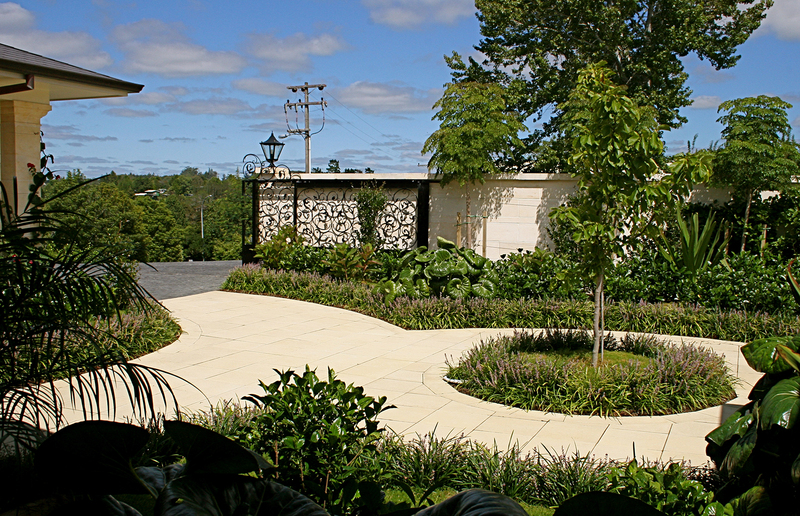 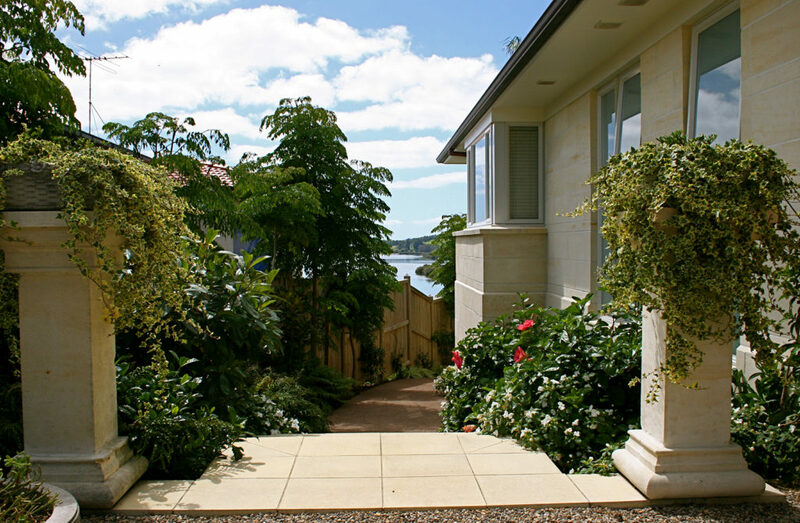 The stone that was used on the house was also used for the boundary fence, patios, steps and paving. 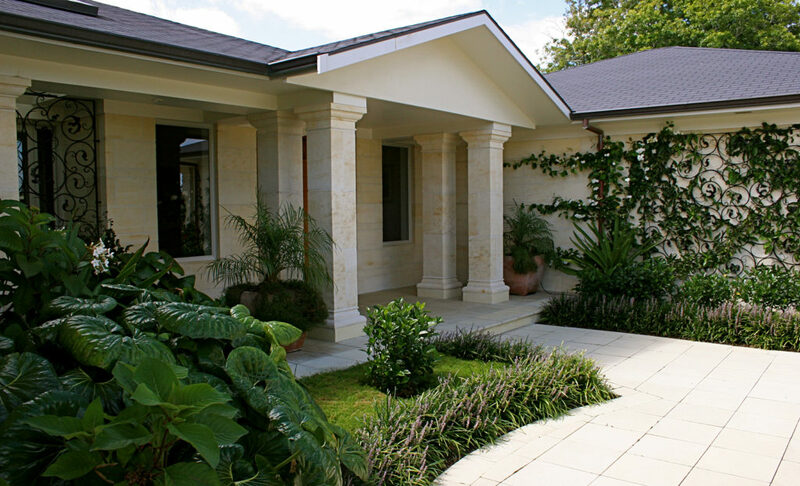 Haddon stone pots complement the natural stonework. 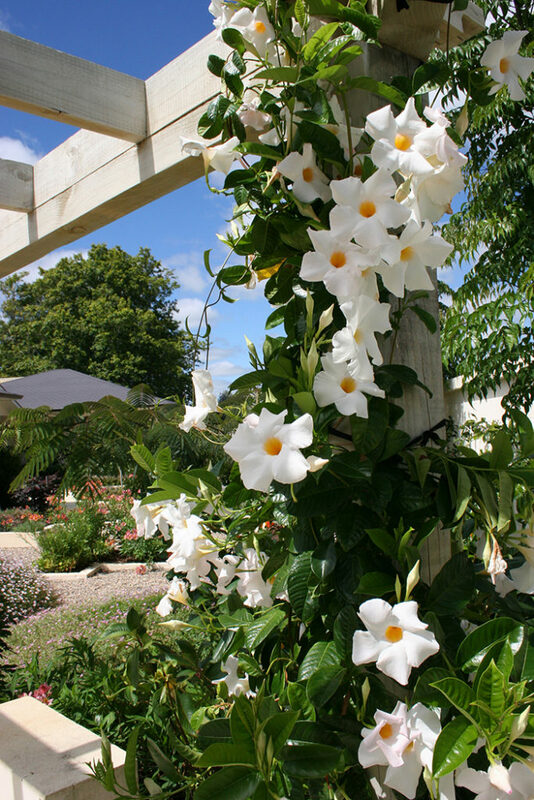 Wrought iron gates and feature panels were designed to be used for growing climbing plants over. 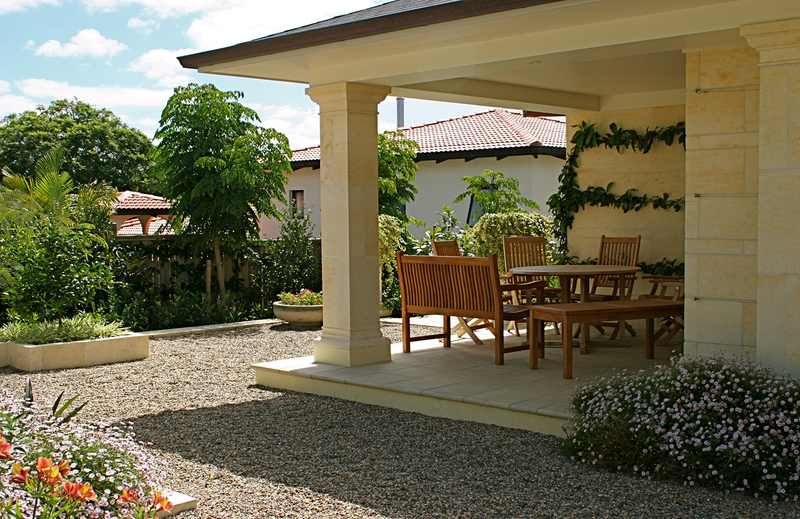 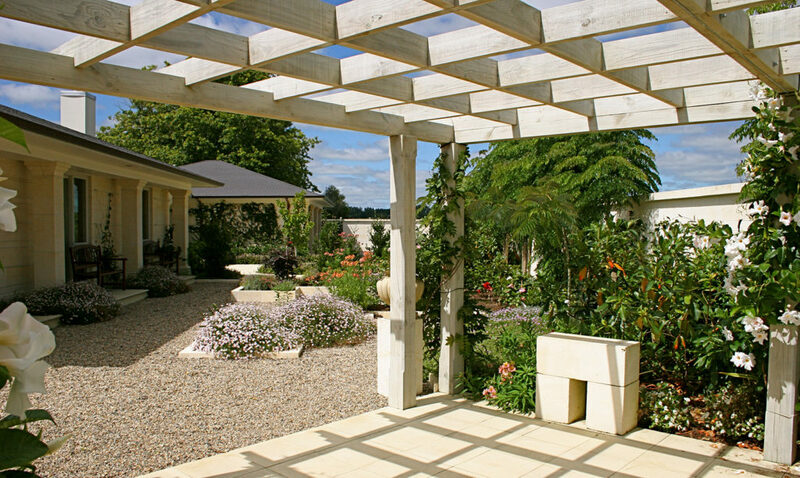 A whitewashed timber pergola, and pebble garden with flower planters create a focal feature within one area of the garden. 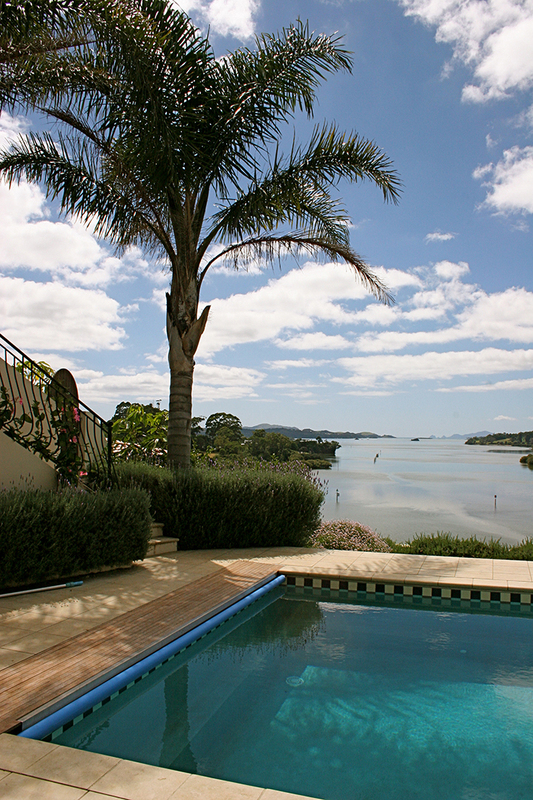 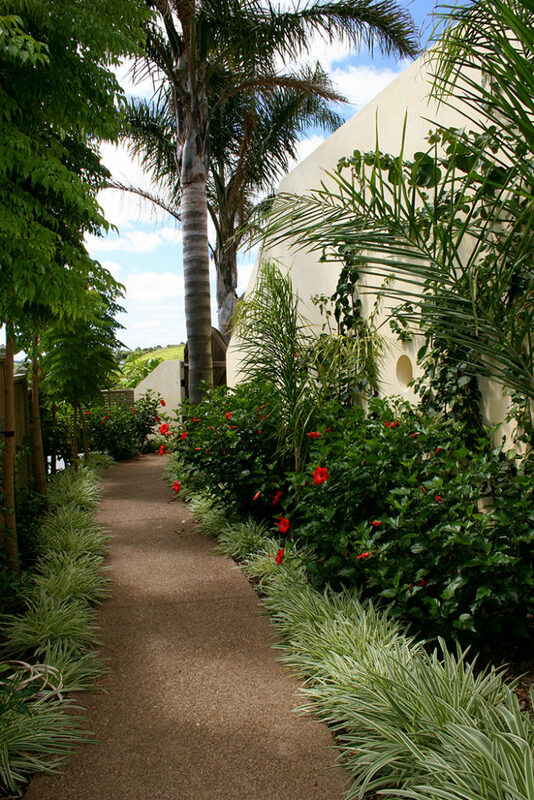 The landscape plantings within the garden are varied and reflect the sub-tropical location, while the repetitive use of one species creates the formality required to compliment the house. 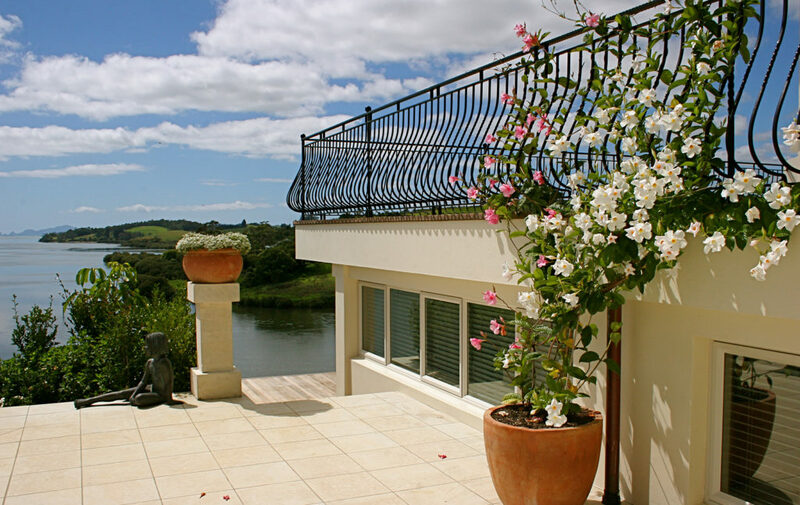 The landscaping around the swimming pool has been limited to a clipped Lavender hedge and pink and white Trumpet vines climbing along the wrought iron balustrade.